There is a wide variety of specialty meats available with your wild game. See the list below for a description of a portion of how your meat can be divide. Salami is available and comes in two flavors, regular or jalapeno cheddar. Brawts come in a large variety of flavors: jalapeno cheddar, apple cinnamon, german, polish, italian, chorizo, hunter, and potato. Pepperoni can also be made from your meat in regular or barbeque flavor. 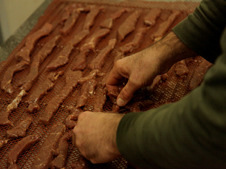 Pressed and Formed Jerky is made from pressing the ground meat into jerky. Whole Muscle Jerky comes from the good steaks of the animal making quality jerky, but sacrificing the prime meat of the animal. Jerky Nuggets are like the whole muscle jerky but come in bite sized pieces. The Breakfast Sausages come in three forms: bulk, patty, or link. The bulk and link sausages come in the following flavors: regular country style, maple, apple cinnamon, spicy, and sage. The patties can have either regular country style, maple, spicy, or sage flavoring. 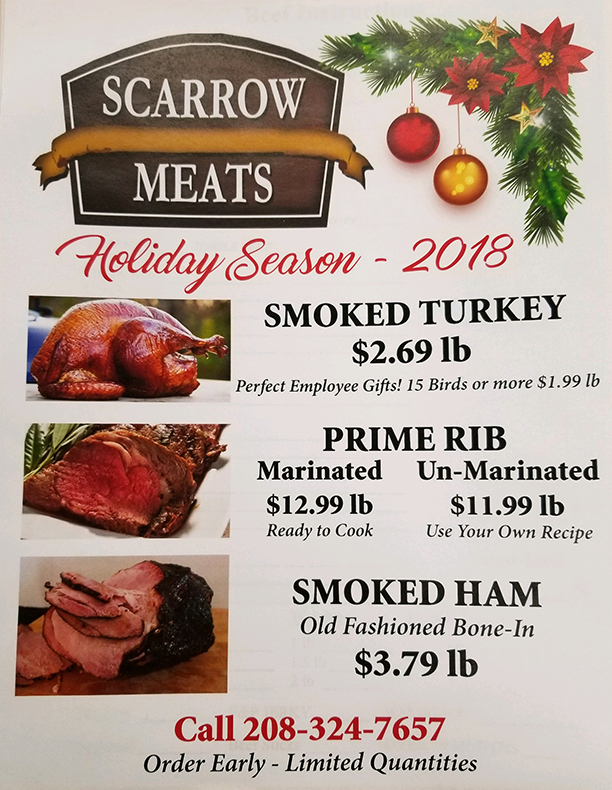 Scarrow Meats can also use your personal recipe on any of these specialty meats and cuts. Just make a note of your request on your order form.